A tasty snack for a busy day or an active lifestyle! 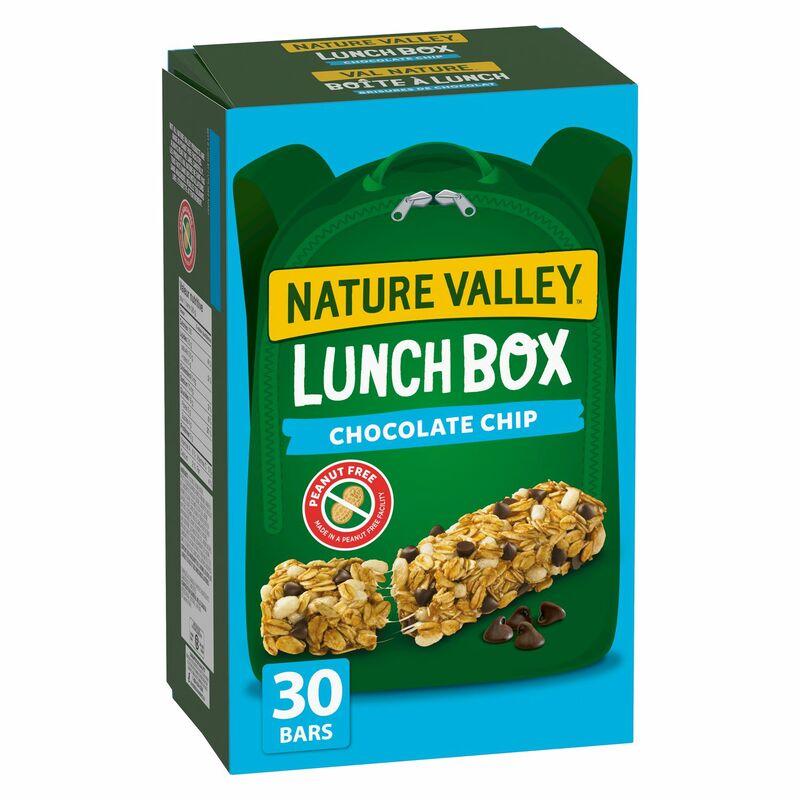 This great snack is perfect for anywhere and at any time! Smart snacking has never tasted so good. 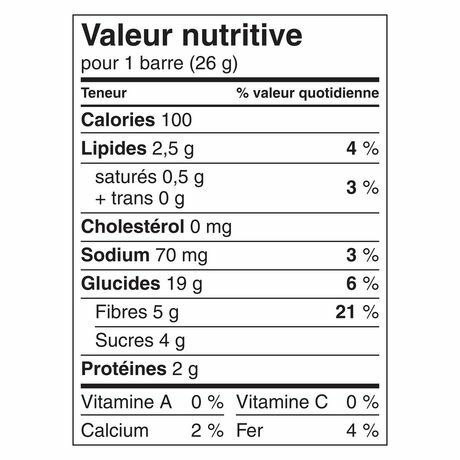 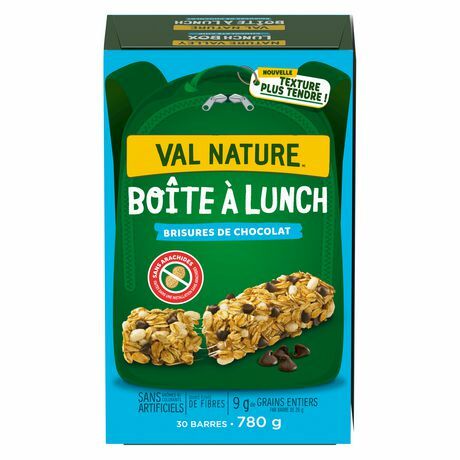 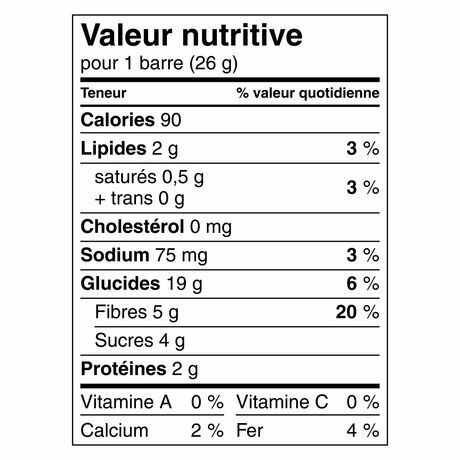 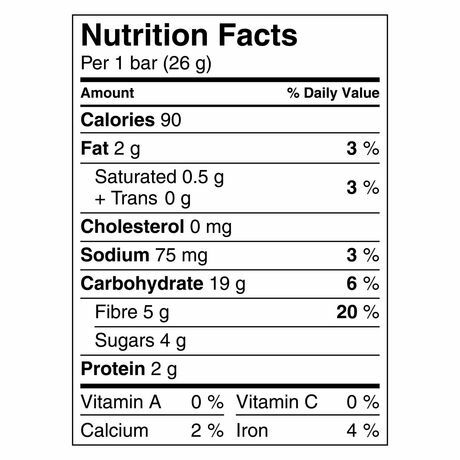 WHOLE GRAIN ROLLED OATS, FRUCTOOLIGOSACCHARIDES (INULIN FIBRE), RICE FLOUR, CHOCOLATE CHIPS (SUGAR, CHOCOLATE LIQUOR, COCOA BUTTER, MILK INGREDIENTS, SOY LECITHIN, SALT, NATURAL FLAVOUR), SUGAR, HIGH MALTOSE CORN SYRUP, CHICORY ROOT EXTRACT, GLYCERIN, CANOLA AND/OR SOYBEAN OIL, SOY LECITHIN, SALT, MALTODEXTRIN, FANCY MOLASSES, BAKING SODA, MALTED BARLEY AND CORN EXTRACTS, CALCIUM CARBONATE, WHEAT FLAKES, NATURAL FLAVOUR. CONTAINS SOY, MILK, WHEAT, OAT AND BARLEY INGREDIENTS.